The biggest match in the country will take place today in the I-League at the Yuba Bharati Krirangan, Kolkata. 2015’s first Kolkata derby will finally take place after a number of problems and a lot of speculation. The match had been called off twice before due to administrative problems. 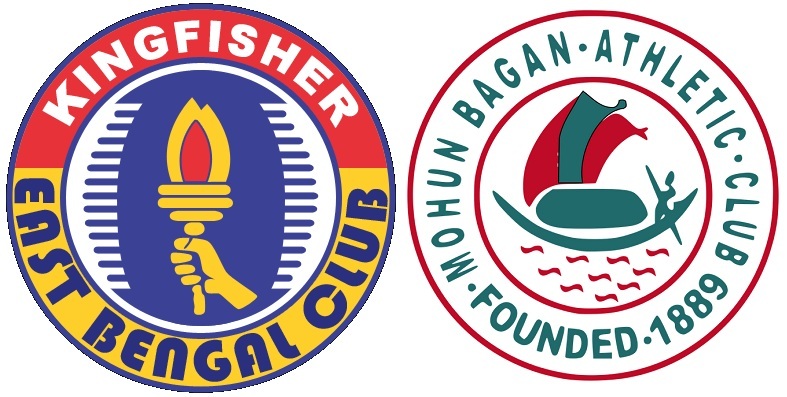 All eyes will be on Kolkata as East Bengal take on arch-rivals Mohun Bagan. 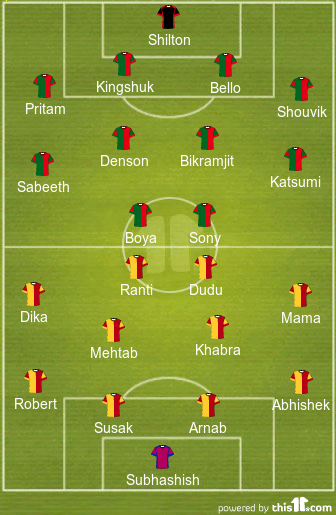 In a match where favourites cannot be predicted, Mohun Bagan looks a more balanced side compared to East Bengal. The green and maroon brigade is also in a better position in the league. Out of the three games they have played, Bagan has won two and drawn one. They played brilliant football in their last game against Pune FC where they emerged victorious 1-0. East Bengal, on the other hand, have played five games out of which they have won two, drawn two and lost one. Another huge disadvantage for the home team will be fatigue. The team had played an I-League game against Kalyani Bharat FC just a couple of days ago. Overall, we are expecting a mouth-watering clash between the biggest rivals in Indian football. Kolkata’s Yuba Bharati Krirangan will be hosting the derby match on Tuesday, 17 February. Yuba Bharati is a multi-purpose stadium which is generally used by the clubs from Kolkata as their home ground in the I-League. The stadium has a capacity of 1,20,000 seats. Armando Colaco will make a few changes in the starting lineup which was fielded against Kalyani Bharat FC on Sunday. Australian defender Milan Susak will be back from his injury replacing Raju Gaikwad. Robert Lathuama will replace Saumik Dey, who got injured on Sunday. Abhishek Das, who had an impressive match on Sunday, is likely to continue in the right-back position ahead of veteran Deepak Mondal. The most important factor will be the return of Nigerian forward Dudu Omagbemi whose presence beside Ranti Martins will lend an extra flavor to East Bengal’s attack force. Sanjoy Sen is likely to bring in captain and experienced custodian Shilton Paul replacing Debjit Majumder, who was given a surprise start against Pune FC. The defensive lineup is likely to be the same. All eyes will be on Bello Rasaq who will be in charge of stopping the Nigerian attacking duo of East Bengal. The biggest boost for Sen will be the return of marquee signing Pierre Boya into the first XI. The Cameroonian has not played a single game in the Hero I-League owing to an injury. The combination of Sony Norde and Pierre Boya will be enough to cause tremors across the opponent’s defence. Sony Norde is one of the best foreigners in this year’s Hero I-League. He joined the Kolkata giants, Mohun Bagan this season from Bangladeshi club Sheikh Jamal Dhanmondi. The Haitian international has played really well so far in the league, even though he has not yet scored. He has pace and can even play down the wings. Sanjoy Sen will heavily bank on Norde. East Bengal’s best defender Arnab Mondal will be in charge of keeping the Haitian in check. 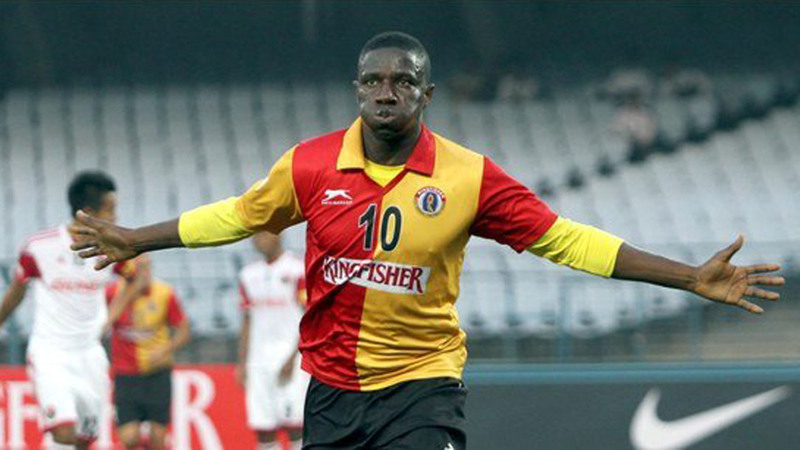 The Nigerian goal machine is the most successful player for East Bengal this season so far. Ranti Martins is scoring in almost every game barring a few. So far, he has scored 4 goals from 5 matches. All eyes will be on Ranti as he will be the target man up front. Bello Rasaq will have to play really well to stop his compatriot on the field. Ranti vs Bello will surely be one of the most attractive battles on the field tomorrow.